Okay, this isn’t exactly a “speed loader” like you might picture in your mind. 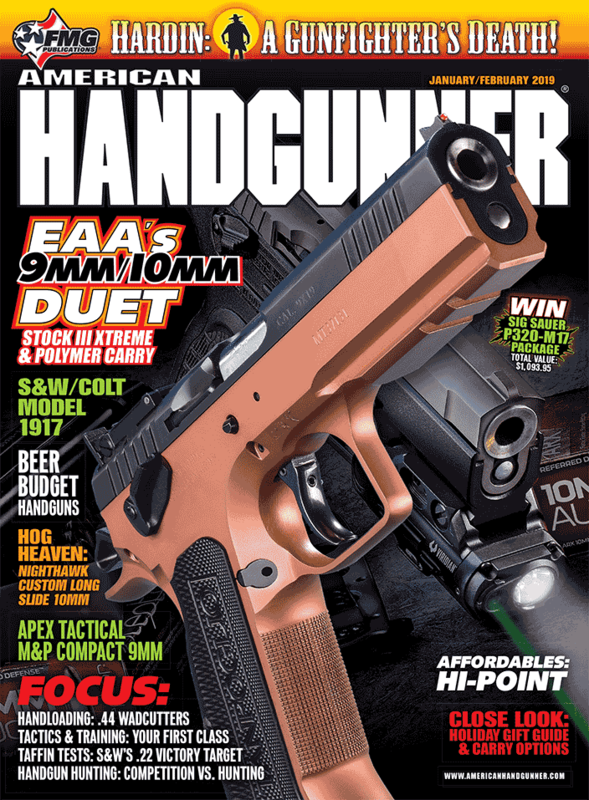 Think of it as more of a “1911 magazine with a built-in way to load it easier.” If you’ve ever taken a training class you know by the end of the first morning your fingers are cut and blistered due to constantly loading and topping off magazines. Most fingers get taped-up by day one, and by the end of class, most shooters’ hands look like they survived a week on a chain gang using sledge hammers to bust rocks. Mine do. “Conventional” mag loading tools are separate from the magazine and if you’re at a training class you need to somehow have the loader with you during pauses to top off your mags. When Mike Parker of PT Magz sent me the link to his demo video of their 1911 EZ Speed Loader magazine, I was immediately interested, as the “loader” is contained in the magazine itself. It’s darn clever, and I wanted to get one into my own hands to make sure it wasn’t just a bit of fantasy. It’s real, though, and actually works great. Basically, the base pad anchors a telescoping rod, with the other end attached to the top of the mag spring (a part right under the follower). You pull the base pad down, the rod extends, pulling the mag spring toward the base, compressing it. You slide the rod into a cut-out on the mag bottom, holding the spring compressed. Then you just, literally, drop the loaded rounds into the magazine as fast as you like. Once seven rounds are loaded, you pull the base pad a tad, unlock the rod and push it back into the magazine. Spring tension holds things in place, along with a small magnet on the base pad. Shoot gun, drop mag, repeat. Presto, no hurty fingers and loading actually goes much faster.